Paul Mitchell currently serves as President and CEO of Energy Systems Network (ESN). 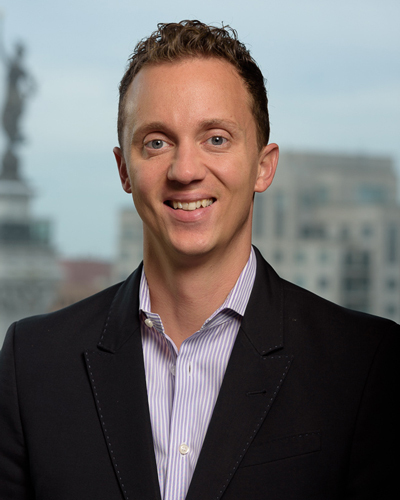 Prior to joining ESN, Paul served in the Office of Governor Mitch Daniels as Policy Director for Economic Development, Workforce, and Energy. In this capacity, he oversaw legislation, policy, and program development for the Indiana Economic Development Corporation, Indiana Department of Workforce Development, and Indiana Department of Labor, and acted as Governor’s liaison to the Indiana Utility Regulatory Commission and Office of Utility Consumer Counselor. During his tenure with the Governor’s Office, Paul also led the formation of and directed the Indiana Office of Federal Grants and Procurement. A native of West Lafayette, Indiana he holds a Masters of Public Affairs from the Indiana University School of Public and Environmental Affairs in Bloomington, Ind. where he graduated as valedictorian.